The Don’t Pass bet is another starting bet that is placed when the game of Craps begins. This bet is the exact opposite of the Pass Line bet and offers even money as a payout. 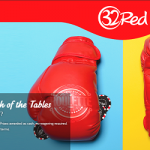 It is not a bad bet to place, but most players will prefer to bet with the dice instead of against them. 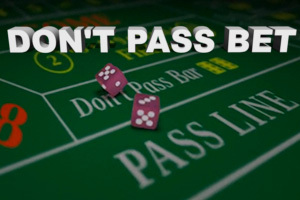 Learning about the Don’t Pass bet will offer another option to those that are just getting started and are looking for simple bets at the table. What is the Don’t Pass Bet? The Don’t Pass bet is an initial bet at the table and is placed prior to the come out roll. With this bet, players will be betting that the shooter will seven-out before they establish any point number. This bet will win if a 2 or 3 is roller, but a 7 or 11 will lose. A 12 will result in a toe and if appoint is established. The game continues and players betting the Don’t Pass will hope for a 7 before the point is rolled again. Odds bets can be placed on any Don’t Pass bet following an established point. The odds will offer no added advantage to the casino, and if affordable, it is one of the better bets to place. This bet does have a better probability than the Pass Line bet with the actual odds being 976:949 with a 1:1 payout. This offers a house edge of 1.36%. The Don’t Pass Odds offer payouts of 1:2 against a 10 or 4, 2:3 against a 9 or 5 and 5:6 against an 8 or 6. These all have 0% house edge, but a Don’t Pass Line bet will be required. This type of bet is one of the highest odds bets available in the game and once a point is established, players will enjoy better odds than if they placed a Pass Line bet. Regardless of the point number, there are more chances that a 7 will be rolled before that point number. Since this bet has the lowest house edge, it is a wise, but unpopular bet. Most players will root for the shooter, not against them. There are a few examples of why players will choose the Don’t Pass bet when playing. Example 1: With a Pass Line bet, a 12 will cause the player to lose the bet. However, when betting Don’t Pass, this roll will result in a tie and no action is taken. Example 2: Don’t Pass bets have better chances at wining. 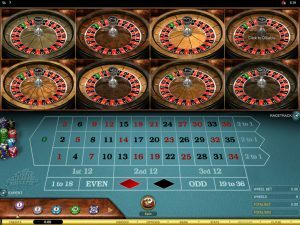 A 7 is rolled more often than any other number since there are more combinations on the dice to create that number, thus offering an advantage to those that place this bet. Seeing as this bet does offer the highest odds, it is a good bet to place. 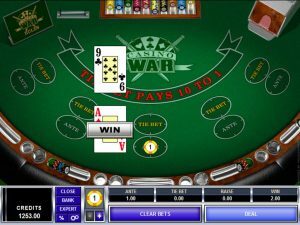 However, when playing in a land based casino, many players will feel uncomfortable gong against the shooter and will seldom place the bet. 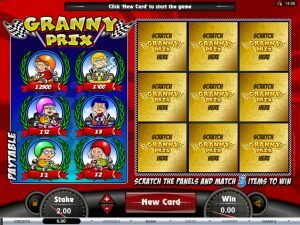 In an online casino, there will be no negative reactions from others, so it is a great bet to place and it can win often. Many players will place the Pass Line bet, so with the Don’t Pass, one will be looking for the exact opposite top happen at the table. The only exception is when a 12 is rolled, which will result in a tie for Don’t Pass bettors. Those that are serious about making some money ate table should consider this bet as they will have better odds since the 7 will occur more often than any other number rolled. Can Don’t Pass Bets be Increased? This bet is placed prior to the come out roll. The bet can be removed, but players cannot increase the amount of the bet. Can the Don’t Pass Bet Remain on the Table? As long as there is no win or loss, the bet will remain active. Once a player rolls a 2 or 3, where the Don’t Pass wins or a 7, where the bet loses, the bet will remain in play. After a point is established, the bet loses if the point is rolled and wins if a 7 is rolled. At this time, the bet is taken or the winnings paid and a new game begins. Why Should I Take Odds with Don’t Pass Bets? Odds bets improve the chances of winning and eliminate the house edge. Taking odds will not improve the Don’t Pass bet, but will recue the overall edge over the total that is being wagered. Is this a Good Bet top Place? For beginners, they Don’t Pass bet is a good bet as it offers more chances to win. For example, there are more chances that a 7 will be rolled after a point is established. So even though the bet has negative views from other players, it can be beneficial to the bettor.